With the help of Alexa, your Amazon Echo can do all sorts of quirky things like tell jokes or provide trivia questions. When you want it to handle a more standard need — namely, the ability to wake you up — there are numerous ways to go about setting up your device. Perhaps the most straightforward step to take is to depend on the Reminders & Alarms section, which is part of the Alexa app. It may also be called Timers & Alarms depending on your app version or operating system. Choose that option from the Alexa menu, then tweak the settings as needed. You can also set the alarm with your voice by saying, "Set an alarm for (time of day)" or set a repeating alarm for (day + time)." When the alarm goes off, say "Stop" to silence it or "Snooze" to turn it off for nine minutes. You might also want your Echo to wake you up after a particular time passes, such as if you need to take medication on an unusual schedule. For example, you could set a timer to remind you in four hours. When doing that, you can give your timers names, which is helpful if you use them for various purposes. While cooking, you'd probably designate the timers according to food or task. In this case, just say, "Alexa, set a sleep timer for four hours." If you no longer need the timer after setting it, say "Cancel the (name) timer." However, if there are two or more timers set for the same time, you need to use the Alexa app for the cancellation process. Use the Reminders & Alarms menu, then tap the Timers tab. Have you ever thought that waking up would be much more pleasant if a celebrity urged you from your bed? Amazon's Echo can't bring famous people into your bedroom, but it does the next best thing by letting you use their voices as alarms. Go back to Reminders & Alarms in the Alexa app, then click the Alarms tab at the top. You'll see a list of all alarms you've set up. Above that, there's a Manage Alarm Volume and Default Sound link. After tapping it, you'll see more alarm settings. Go to the Notification Sounds heading and select Alarm underneath it. Then, choose Celebrity from the Alarm Default Sound menu that appears. Finally, you'll see a list of the available voices. By picking one, you can hear what the greeting says before confirming your choice. Late last year, Amazon launched a long-awaited feature that allowed people to wake up to music. By utilizing it, you can set things up to hear a tune that gets you in the right mood for the day. It works with Amazon Music, as well as other supported services, like Pandora and Spotify. To use this option most directly, just say, "Alexa, wake me up to music every day at 7 a.m." More specifically, you could create an alarm that wakes you up to pop music at the desired time. Like many people, you may know that getting enough sleep positively affects your productivity. Consider getting off to a motivated start in the mornings by asking Alexa to wake you up to a song that always makes you feel energized. 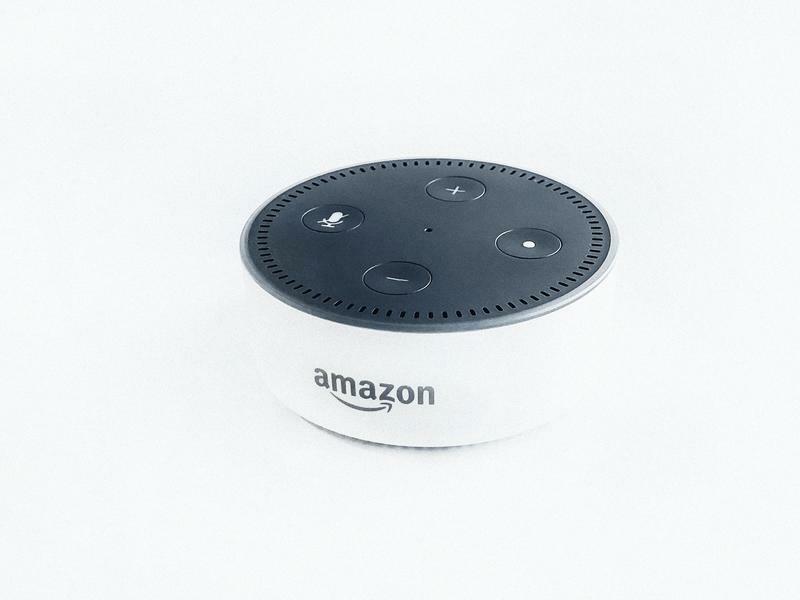 The Amazon Echo works with many smart home devices already, with more added frequently. Therefore, you might wonder if it's possible to wake up to visual stimuli instead of something heard. Indeed, it is, especially if you get devices like Belkin's Wemo Smart Plugs that let you activate connected devices on a schedule. To get started, download the Wemo app for your smartphone and launch it. The Devices tab at the bottom shows recognized devices. Tap the Rules tab to specify how those products operate. Select the green plus-sign button, then choose Schedule under the Control a Device heading. Next, pick your desired Wemo device in the Turn On/Off section. The On option sends power to the device to make it work at the time you set. Think about plugging a floor lamp or bright nightstand lamp into a Wemo smart plug, then following the above steps to make a visual alarm clock. It didn't take long before people began musing how convenient it'd be if Alexa could perform more than one task in sequence after hearing a single command. Customer demand ultimately created the Routines feature, which allows for completing a series of actions based on one phrase. You can't wake up to music or hear a daily schedule after setting up a Routine, but Alexa can read you a flash briefing comprised of the latest headlines while also turning on a light configured as described above. Add actions next and select them on the Add New screen, which has intuitive categories. In the case of the example, you'd have Alexa turn on your light via the Smart Home category and read you your flash briefing, located under News, at the time you need to wake up. This list proves that Alexa facilitates letting you wake up in ways that suit your preferences — and could help you wake up in a better-than-expected mood, ready to tackle the day. They're easy to set up and personalize as required.